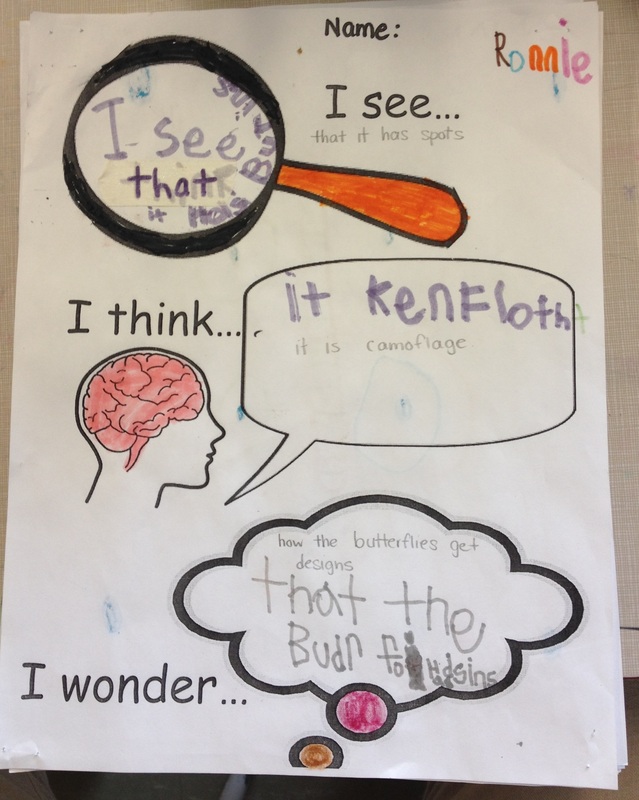 This entry was posted in Art Studio, Inquiry, Outdoor Classroom, Science and Technology, Writing in Kindergarten and tagged butterfly inquiry, Collaborative Art Piece, eric carle, kindergarten science, outdoor classroom, see think wonder, symmetry, the very hungry caterpillar by msmcdonell. Bookmark the permalink. I love your blog! 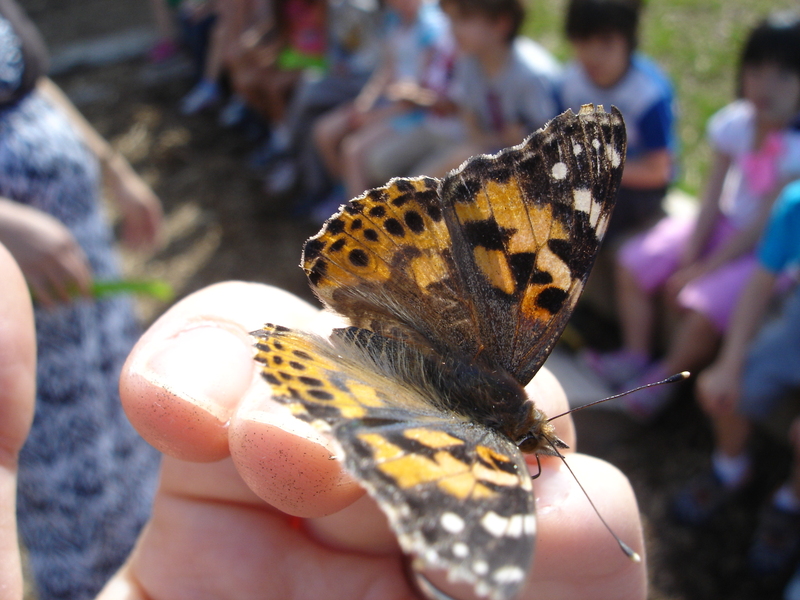 We are just starting our butterfly inquiry and your blog has been so helpful. 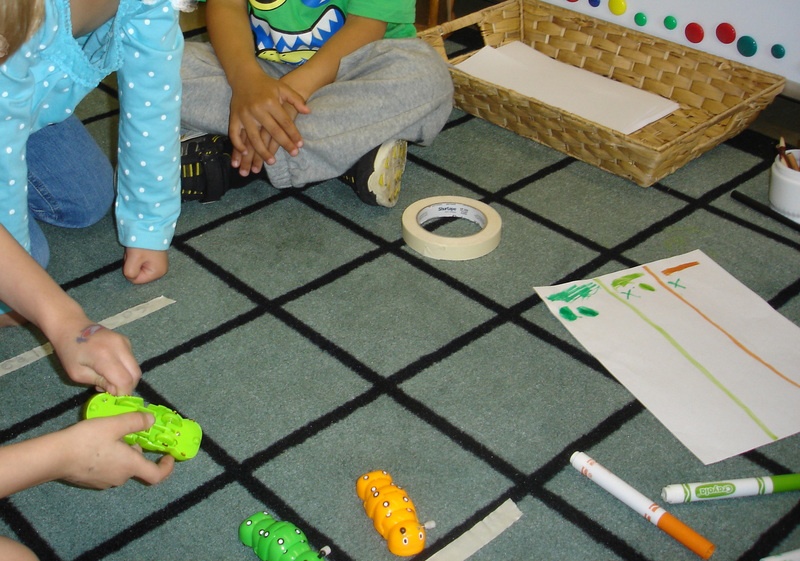 I am wondering, could you give more detail about the racing caterpillars in your math area? What is the goal? 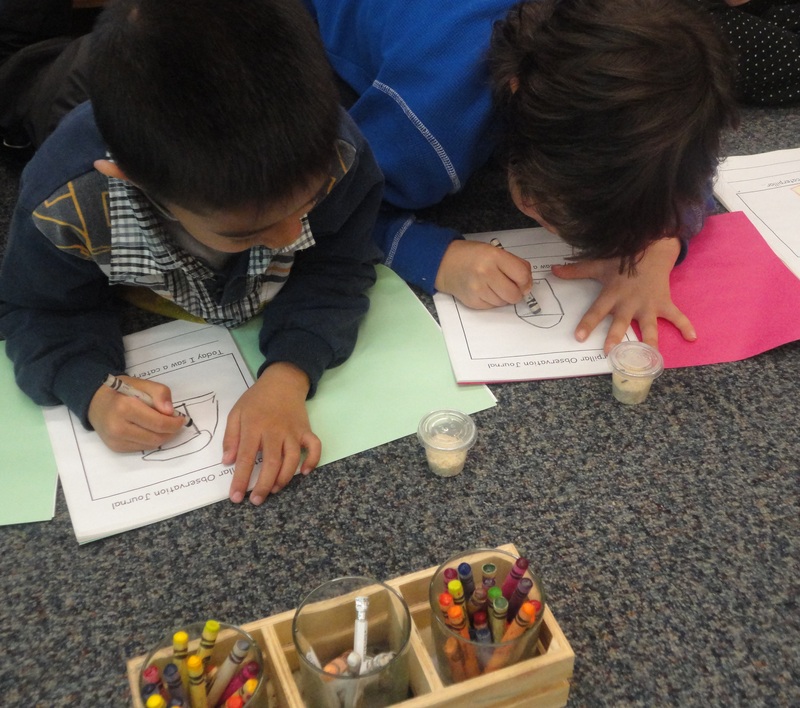 What are the students measuring? 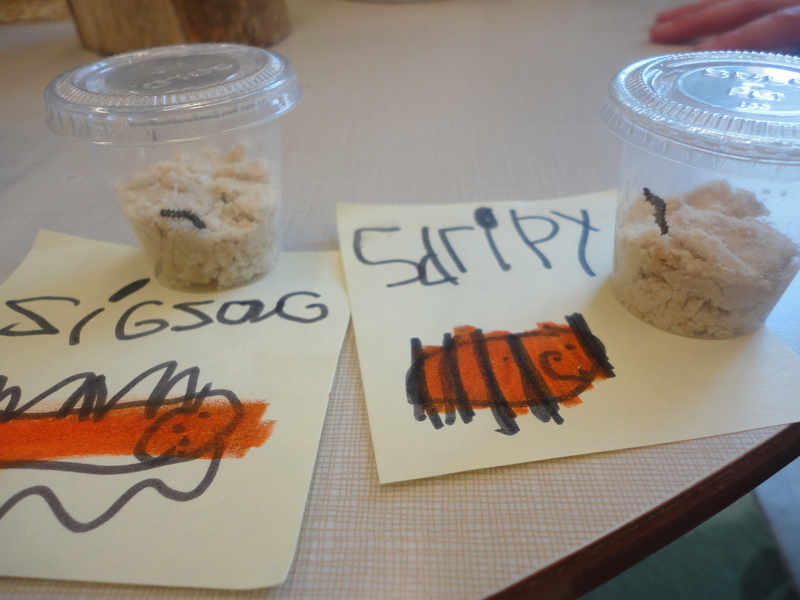 We are getting our caterpillars next week and would love to implement as many caterpillar things as possible! Thanks! Hi Mindi! Thank you! 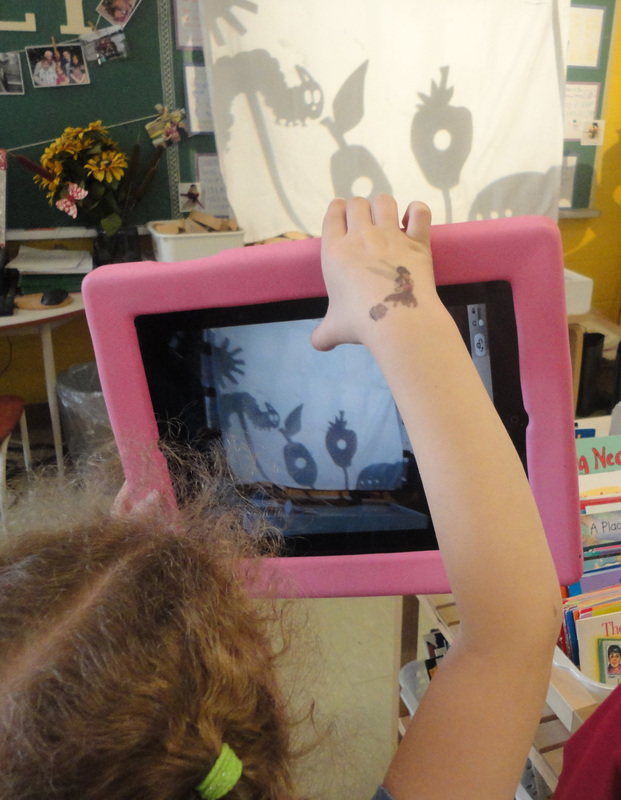 For racing caterpillars we were working on ordinal numbers (first, second, third…) and data management (the students recorded the results of their races on clipboards). We also had the students create their own race course using tape (a starting and finish line) which they labelled. 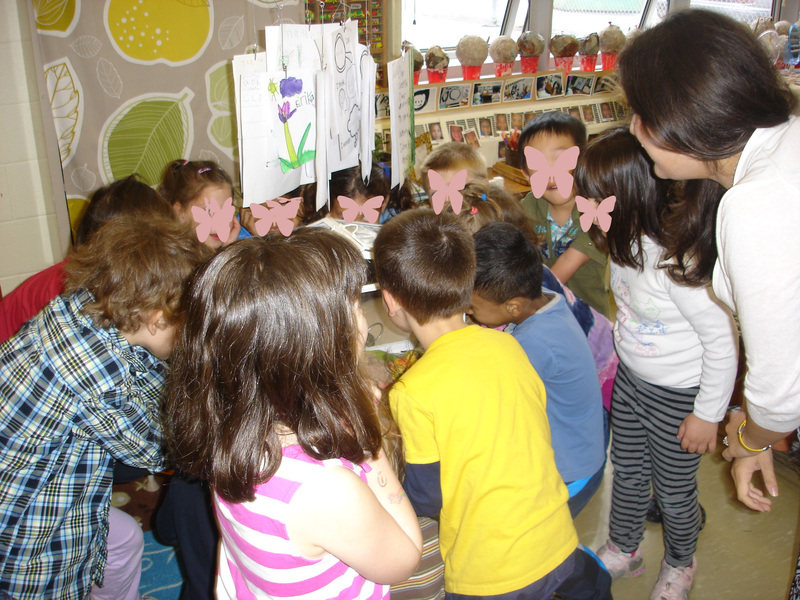 They had to negotiate the length of the course and spent some time figuring out how far the caterpillars could actually travel (measuring). 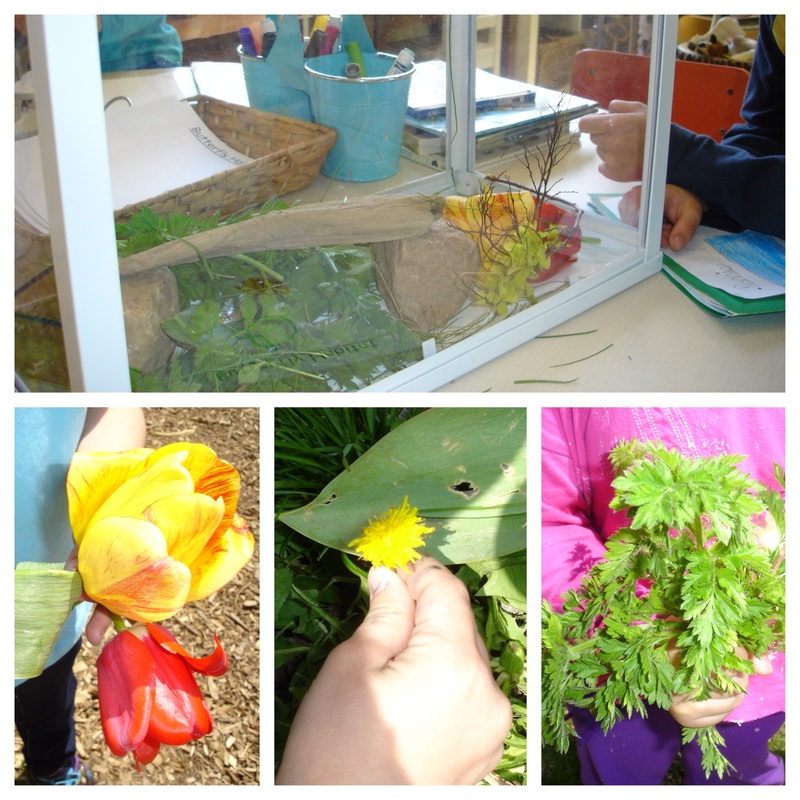 I was also looking for the children to self- regulate turn taking in the various jobs that were required for this activity. Hope that helps! Wow that sounds fantastic! I really appreciate the explanation, it is even more than I had imagined. Thanks! Your blog is incredible! Thank you so very much for sharing. Are you required to write inquiry-based lesson plans and if so is there template that you use? Hi Wendy! Thank you! I am not required to submit inquiry based lesson plans. I currently do not have a format that I am 100 percent thrilled with so I end up writing my plans in a notebook. It’s definitely something I’m looking to create in the future. Hello dear I love your blog and I decided to follow you. 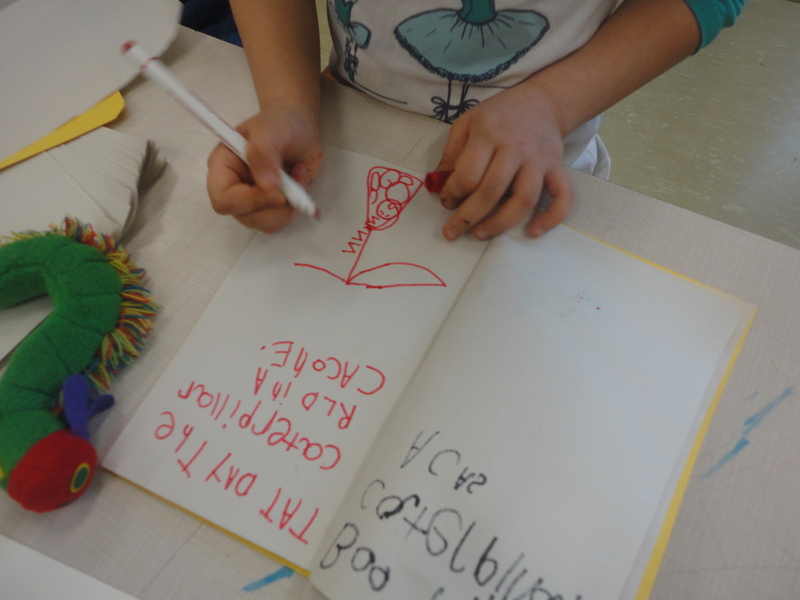 You have amazing activities and provocation. 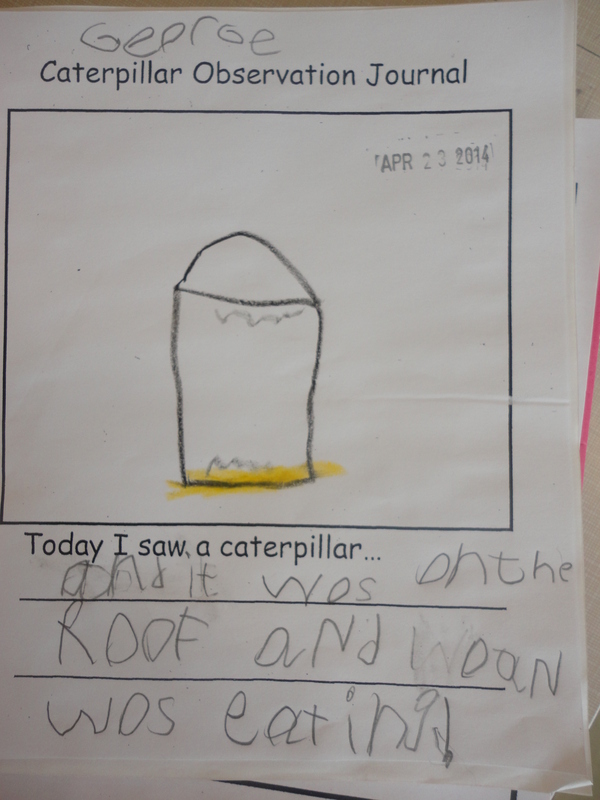 I teach kindergarten also. 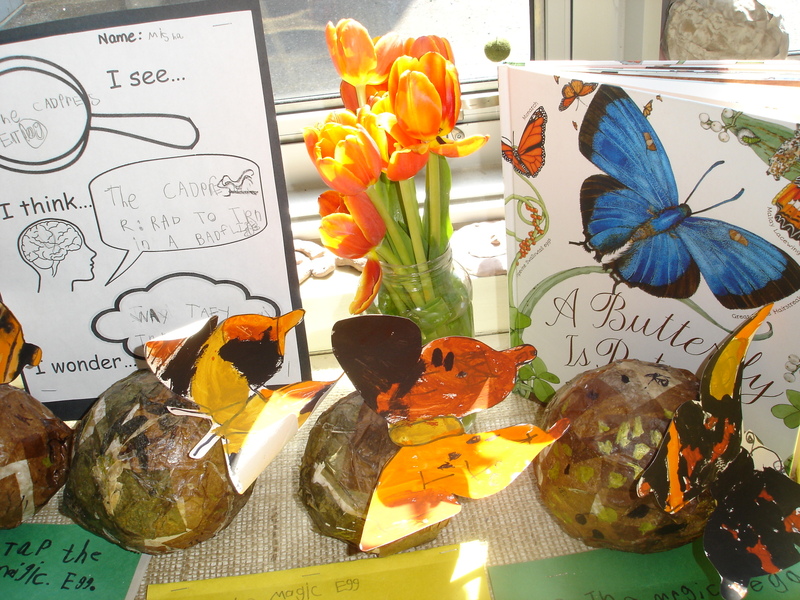 Please let me know how to order for butterfly inquiry kit. please reply me soon, thanks a lot. Hi! I loved this blog post! 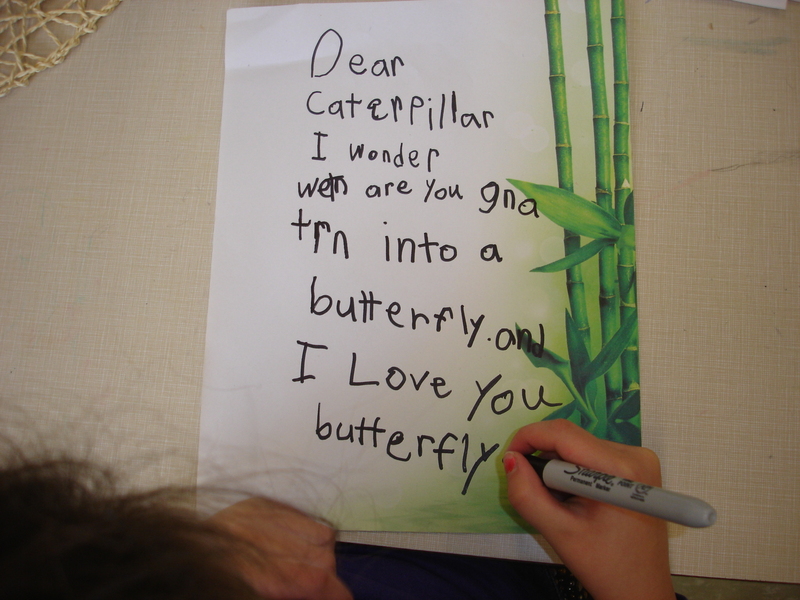 We are doing butterflies next week so I’m trying to get some inspiration! 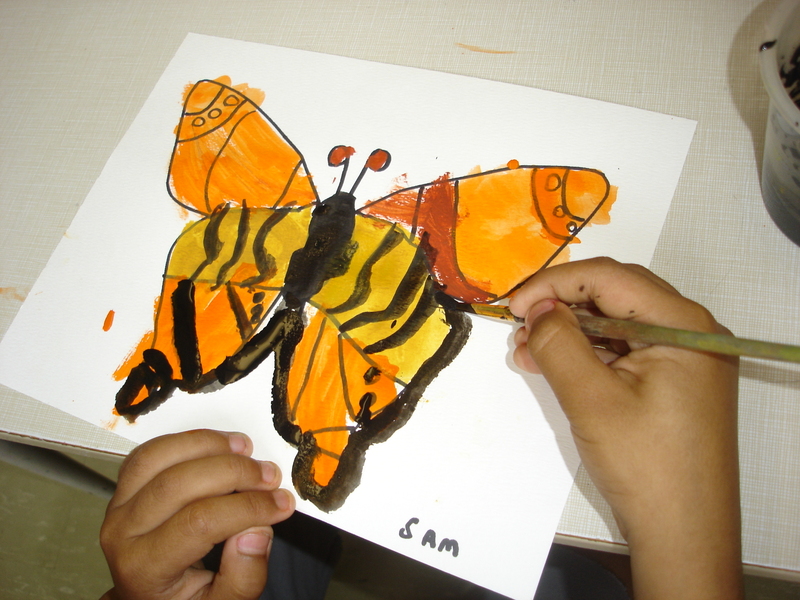 I was wondering how you attached the butterfly painting/chrysalis craft to the string? I’m trying to figure out the best way to hang mine too! Thanks! Hi Rachel! Thanks! 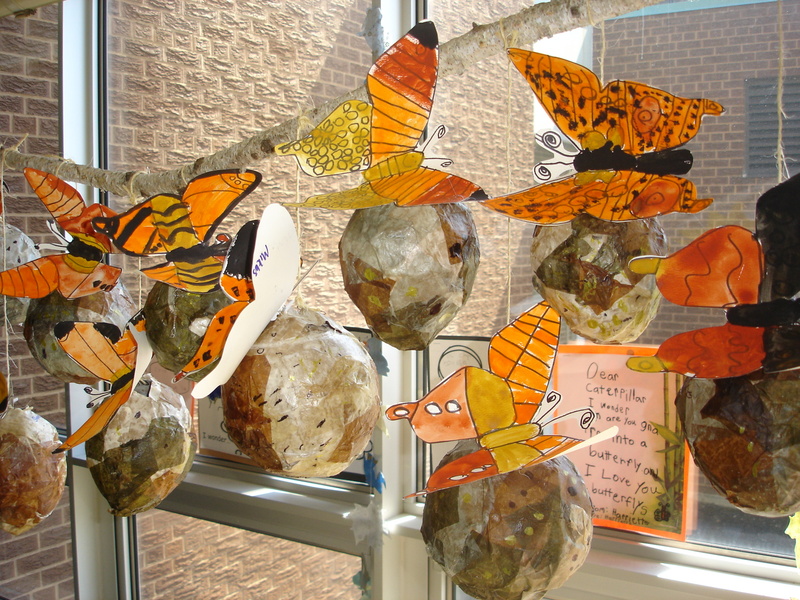 We glued small clothes pins to the back of the butterflies and clipped them onto the chrysalises. 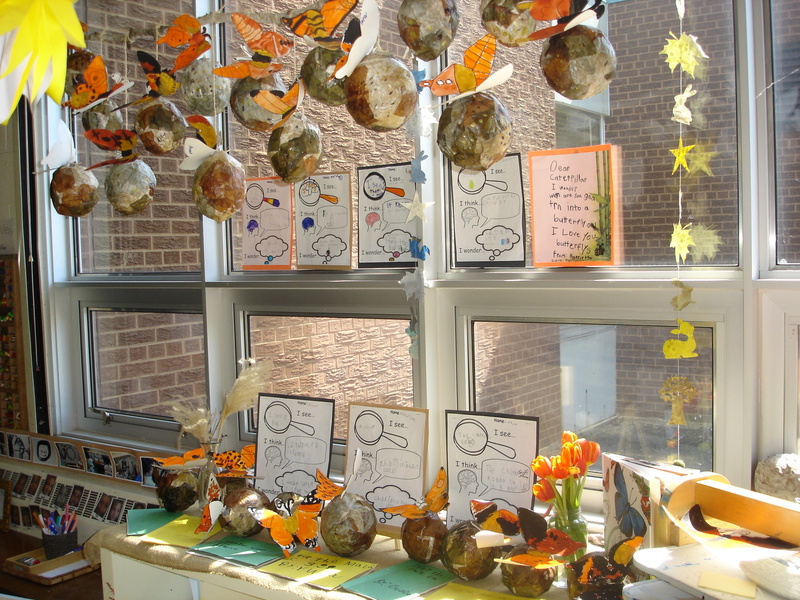 I believe we tied string around small paper clips to hang the chrysalises on the branches. Hope that helps! 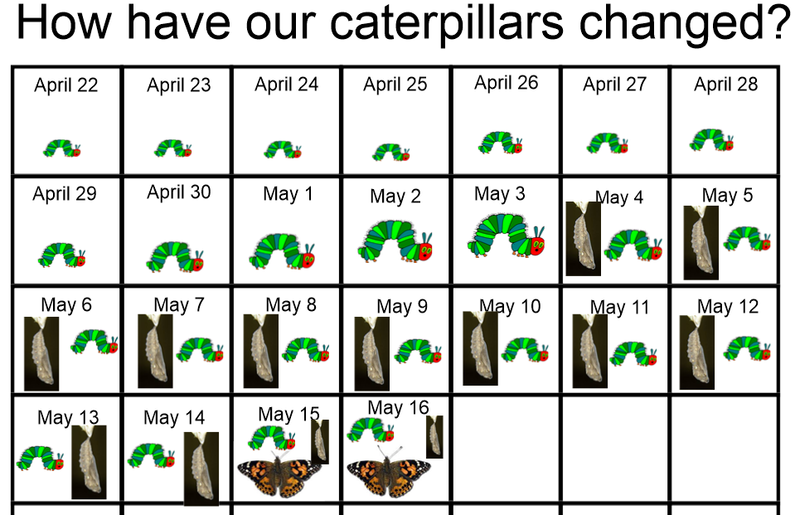 I love how you recorded the growth and change of butterflies on a calendar template. I’ve looked everywhere on Pinterest and cannot find something similar. Would you be able to provide a link and/or more details? Much appreciated! Thanks! I’m sorry I don’t have a template for that actually. 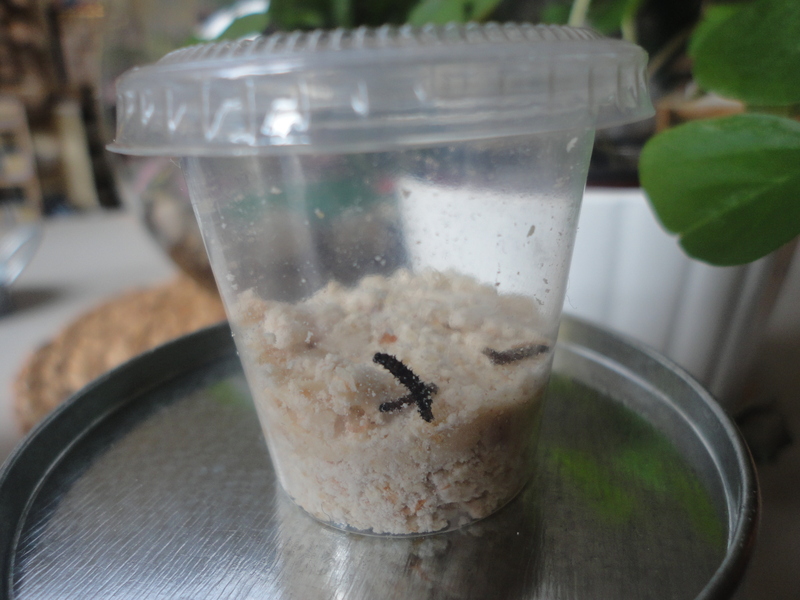 I used SMART Notebook software for the calendar template and just dragged the photos on to show the changes in the caterpillars. I can’t remember if I made the calendar myself or used a template in the software. You could always make a PDF file of a calendar and then drag and drop pictures onto the caldendar days if you’re using a projector. Otherwise, you can do a low tech version by making a calendar on a cork board, white board or poster board and having the children add photos to each day. Just some suggestions. Hope that helps! 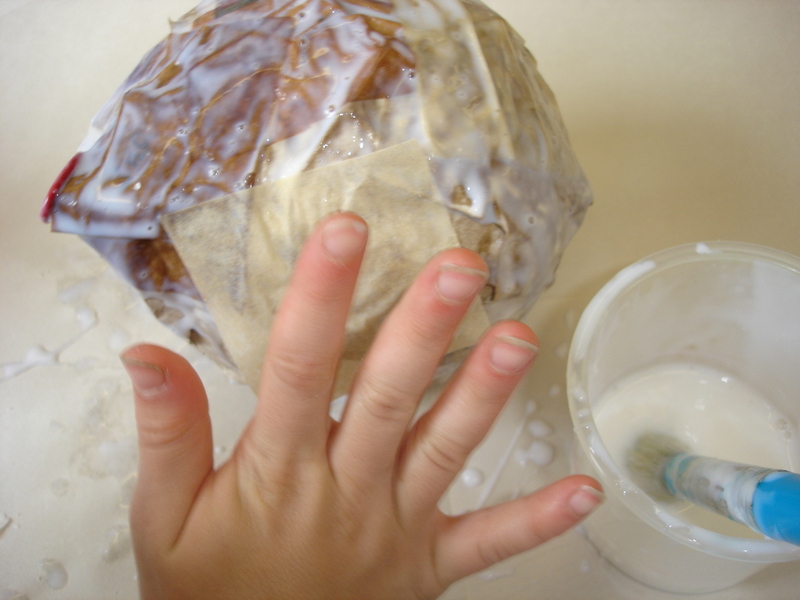 Hi, I love everything on your blog! 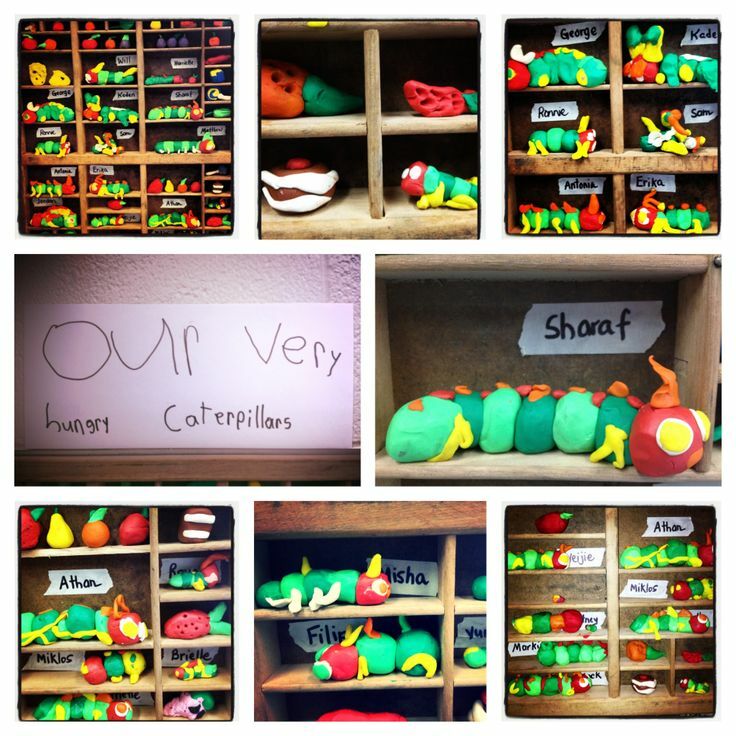 I’m just wondering what material you used for the caterpillar sculptures, and where do you get it? Thank you! 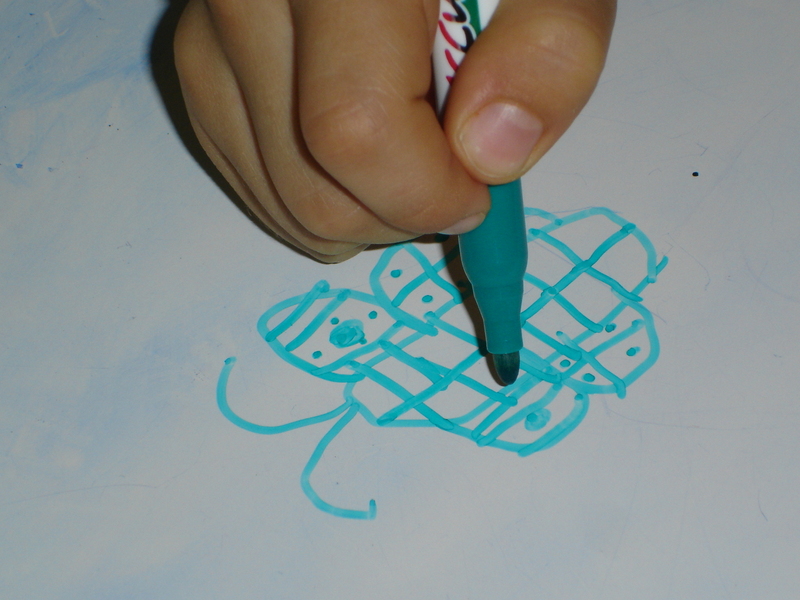 That is plasticine or modelling clay. I actually got mine through the school board consumable catalogue. You can also find big bricks of it at the Dollarama in the craft section. They also sell packs with small sticks in a selection of rainbow colours. Hope that helps!